UNITED NATIONS, Aug. 6 (APP): Portugal’s former prime minister Antonio Guterres is holding on to his lead in the race to become United Nation’s next secretary-general after a second U.N. Security Council secret ballot on Friday, according to diplomatic sources. Guterres, also a former UN High Commissioner for Refugees, topped 11 contenders for the top UN job with 11 votes ‘encouraging’ his candidacy, two ‘discouraging’ it and two expressing ‘no opinion’ in what is called ‘straw polls’ – informal ballots. The 15-member Council will hold secret ballots until a consensus is reached on a candidate to replace U.N. chief Ban Ki-moon of South Korea who steps down at the end of 2016 after serving two five-year terms. The winner will take over from Ban on January 1, 2017. Guterres has impressed many member states with his experience as the head of UNHCR for a decade and as Portugal’s prime minister from 1995-2002. 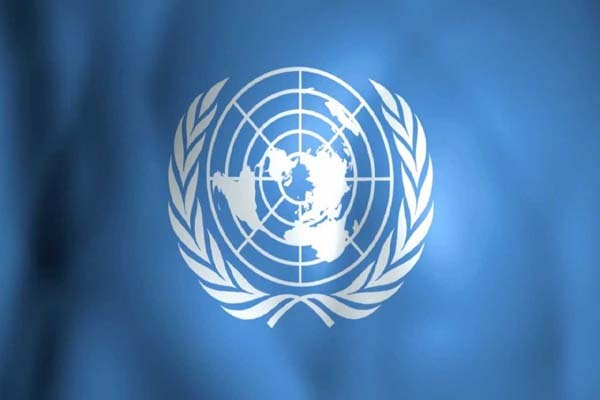 Diplomats said the Council aimed to recommend a candidate to the 193-member General Assembly for election by October. Ultimately, the five permanent veto-wielding council members – the United States, Russia, Britain, China and France – must agree on a candidate. In first round of polling two weeks ago, former Slovenian president Danilo Turk had come in narrowly behind Guterres, but in the latest round on Friday he slipped to fourth place, diplomats said. The rest of the results reflected a shuffling of the candidates from the first straw poll. Serbian former foreign minister Vuk Jeremic rose from fourth to take second place, with eight votes encouraging him, four discouraging and three expressing no opinion. Argentina’s foreign minister Susana Malcorra, who had been a popular U.N. official until recently, saw her fortunes rise, moving from a poor 7th place showing two weeks ago to third place on Friday. She also had eight encouraging votes, but six discourages and one no opinion. Irina Bokova, who heads UNESCO, slipped from her original third place to fifth. While New Zealand’s former Prime Minister and the head of the U.N. Development Programme Helen Clark remained in the middle of the pack in the number 7 slot, behind Srgjan Kerim of Macedonia. On Thursday, Croatia’s deputy parliament speaker Vesna Pusic withdrew her candidacy, saying the “selection has not gone in my direction.” She finished last two weeks ago.